Although Nissan unveiled its sixth-generation Altima to the world at last year’s New York Auto Show, the car is making its Canadian debut at the Montreal International Auto Show. 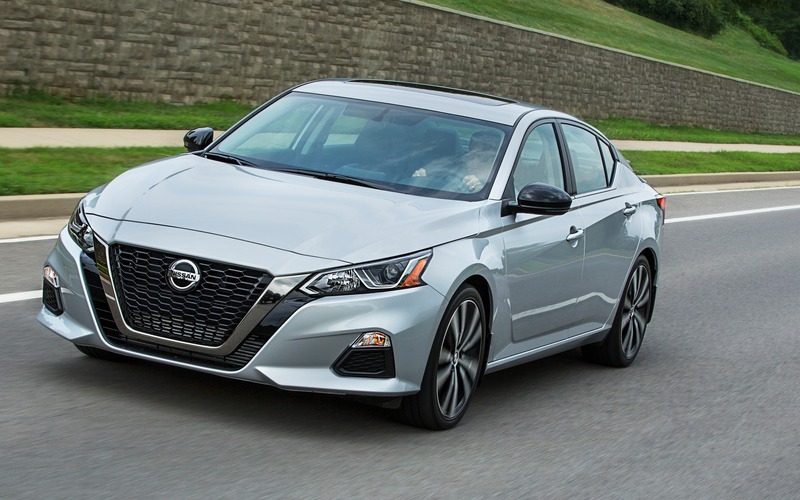 For 2019, this midsize sedan innovates by offering an all-wheel drivetrain as standard equipment in Canada. Previously, the Altima could only be had with front-wheel drive. As for its powertrain, we get a 2.5-litre four-cylinder engine that produces 182 horsepower and 178 pound-feet of torque. It may be a familiar engine at Nissan, but the Japanese automaker assures us that 80% of its parts are new or redesigned. An optional engine is also available, but only in the United States, not in Canada. It’s the same variable-compression turbocharged engine that equips the new-generation, 2019 Infiniti QX50. Developing 248 horsepower and 273 pound-feet of torque, we must admit that it’s a rather interesting engine choice that we won’t get on our side of the border. From a design perspective, the Altima has been thoroughly reworked. 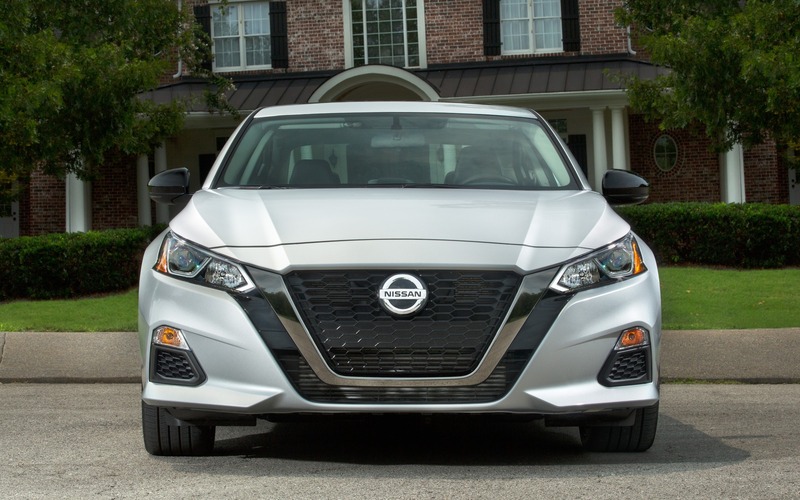 It borrows many styling cues from the Maxima, and with its V-shaped front fascia, it can’t hide its family resemblance with other Nissan products. The ProPILOT Assist system is offered as standard in the SV and Platinum grades of the Altima. Thanks to camera, radar and sensors, this technological suite allows the car to stay in the centre of its lane while maintaining a constant speed. It also offers the possibility to keep a safe distance with the vehicle ahead, and can bring the sedan to a full stop in heavy traffic. 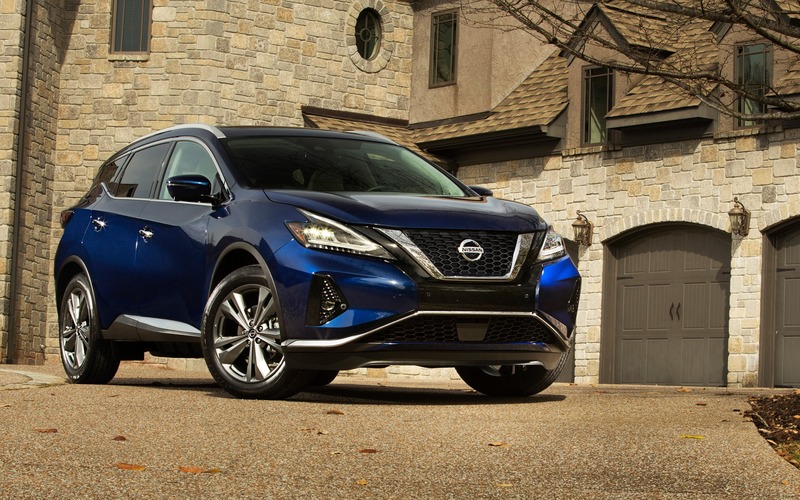 Presented for the first time at the Los Angeles Auto Show back in November, the 2019 Murano lands in Montreal for its Canadian premiere. It’s worth noting that we’re not looking at a new generation of this midsize SUV, but rather a mid-cycle redesign of the current-generation model. Under the hood of the Murano, there’s a 3.5-litre V6 that develops 260 horsepower, managed by a continuously variable automatic transmission. According to the trim level chosen, it can be equipped with front-wheel or all-wheel drive. Among the changes brought in for 2019 are LED headlamps and taillights, new LED fog lamps as well as redesigned 18- and 20-inch alloy wheels. The Nissan Safety Shield 360 suite is also available, which includes emergency braking with pedestrian detection, blind spot monitoring, rear cross traffic alert, lane departure warning and rear emergency braking. But that’s not all in regards to safety, as the Murano is now equipped with additional second-row side airbags and a front-passenger knee airbag. 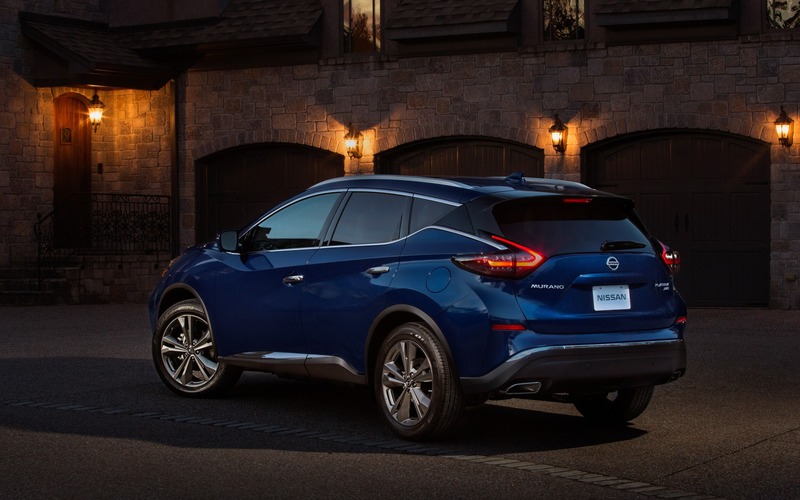 The 2019 Nissan Murano is now arriving in Canadian dealerships.